An online multiplayer medieval tournament for 1-4 players. 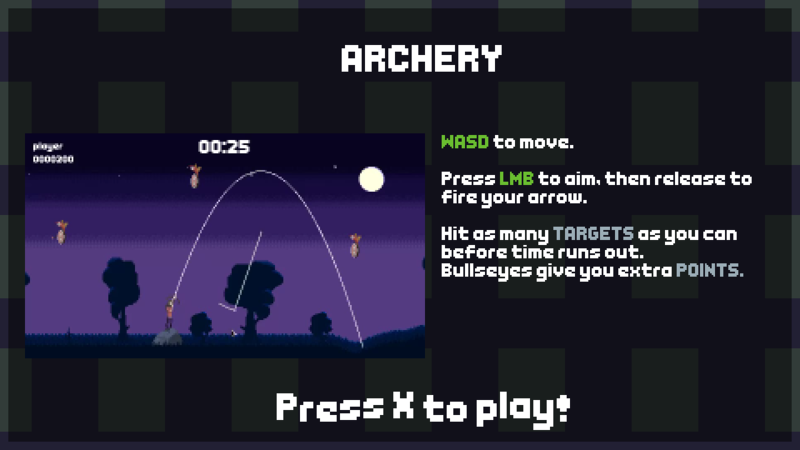 Bring your feudal lord glory in many exciting minigames one archery minigame. Mac and Linux users should find a copy of LOVE 0.10.2 to play.